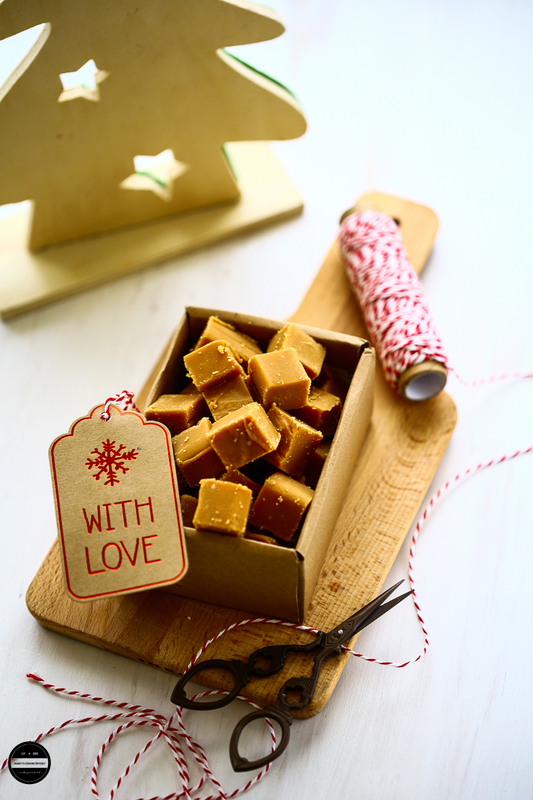 This scrumptious Cardamom and Cinnamon Caramel Fudge screams nothing but festivity and these might be an ultimate treat to offer your friends and family around this festive season. It's that time of the year again when so many delicious and delectable treats are to be made, wrapped and shared with so much love. It's that time when sweets and confectioneries rain everywhere. Christmas is just around the corner and shops and markets are oodles with breathtaking and unique types of edible gifts, candies and chocolates sure to satisfy everyone's needs. There is no doubt that it is far easy to buy those beautifully decorated boxes of edible gifts for anyone, but I don't know why I always strongly feel that if you want to wish to carry an edible gift for someone it has to be homemade. You need to add that personal touch, some customising and feelings to it. So have you decided if you are going to make anything this season? if you haven't then look no further. 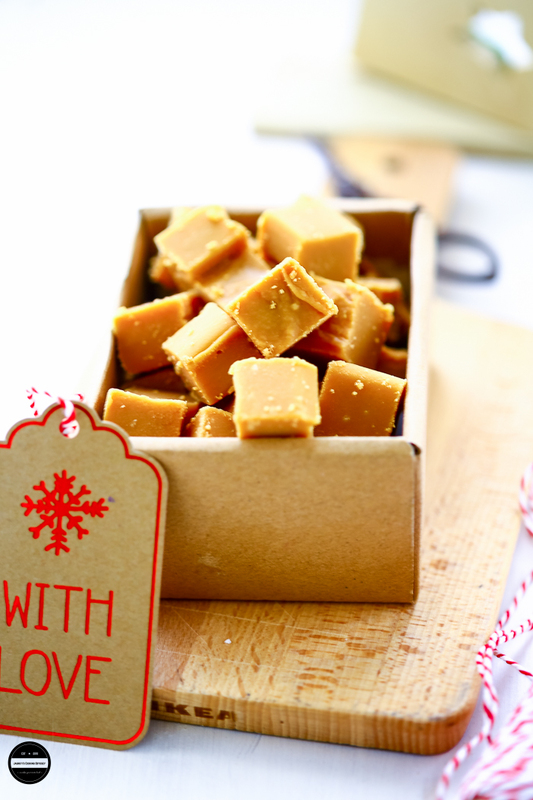 I have this pretty easy to make Cardamom and Cinnamon Caramel Fudge recipe for you. This recipe would be perfect for you to try even though making fudge at home is not your cup of tea. 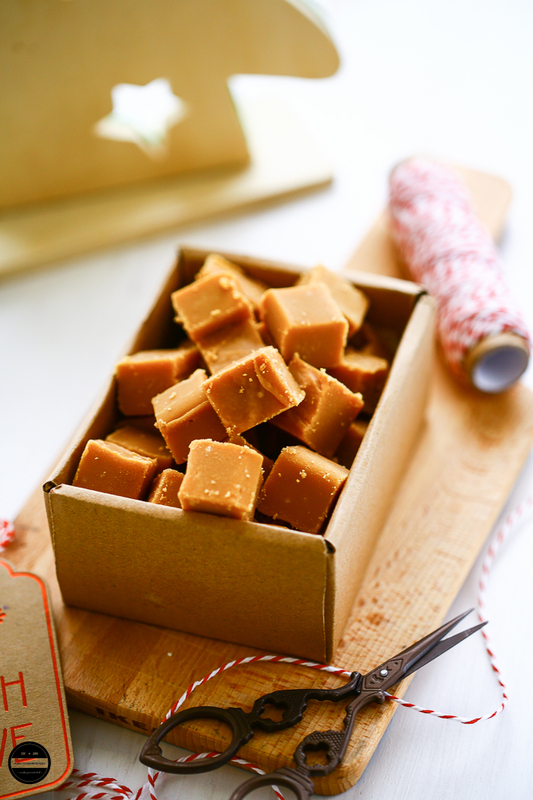 I always prefer to make fudge for edible gifts, because I think it is the easiest confectionary you can make and honestly, the options are endless, customise or personalise your fudge recipes with ingredients, flavours also fudge can be stay fresh for long time. So I have come up with two flavours which I love adding to my cooking. Cardamom and Cinnamon, these warm winter scents seem to bring that wonderful warmth during Christmas period, especially cinnamon being used abundantly in Christmas cooking, baking, in beverages. So along with Cinnamon, I decided to add Cardamom in here. Cardamom is the most used spice in my kitchen. 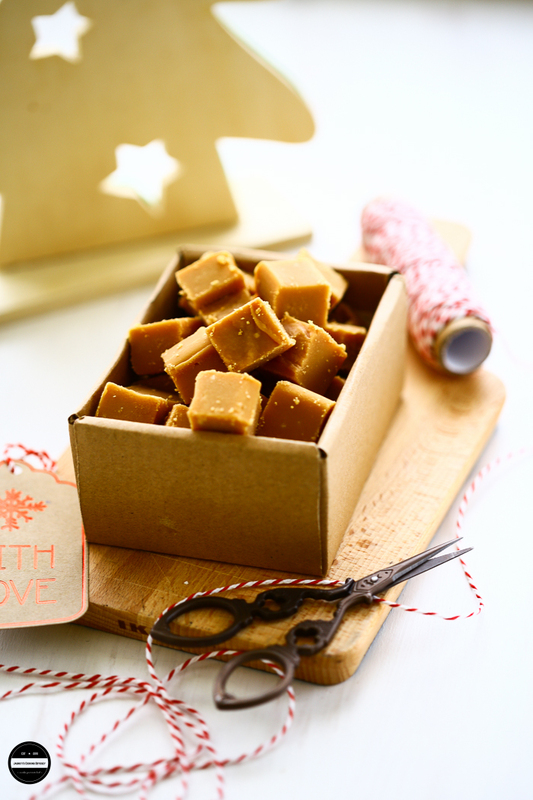 These rich, decadent and delightful fudge is perfectly spiced, beautifully textured with a no greater combination. 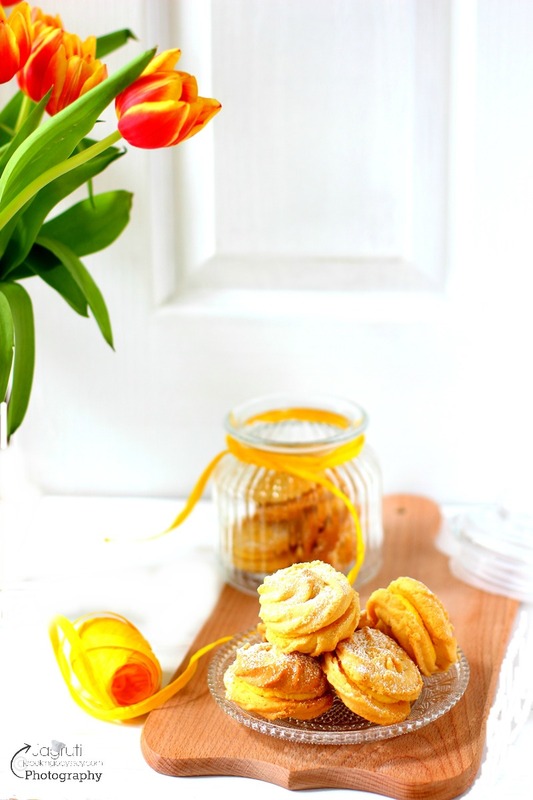 It is made with caramelised condensed milk and flavoured with delicate cardamom and sweet cinnamon. These perfectly elegant looking fudge are perfect for holiday parties, a get-together or as gifts. 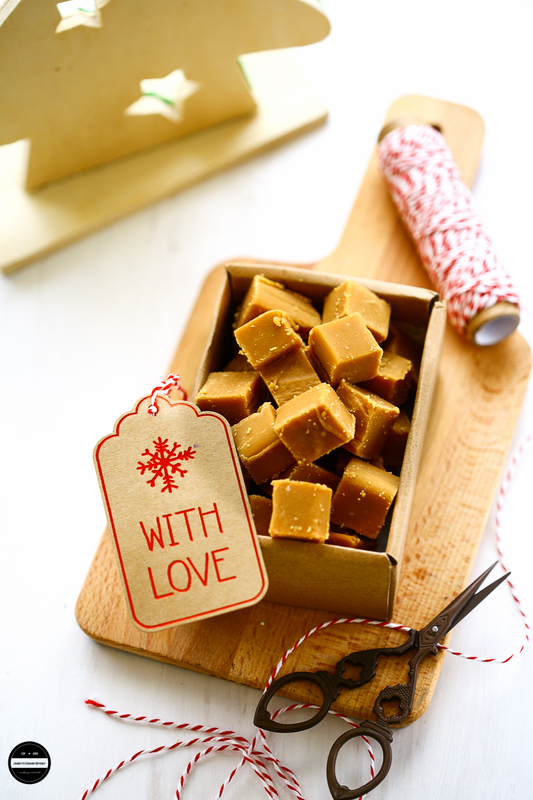 These Rich, Tasty and Delicious Cardamom, Cinnamon and Caramel Fudge are so easy to make which melts in your mouth and it is perfect for festive holiday and makes a darn good gift. Line a tray or plate with foil.In a thick bottom saucepan place butter and sugar.Then add condensed milk and normal milk.Keep mixing everything and let the mixture cook, keep stirring constantly so mixture doesn't get burn.Keep stirring for 15 minutes continuously. Be careful mixture boils a lot at this stage.After 15 minutes, switch off the heat, and keep stirring the mixture. You will be able to see mixture getting thicker at this stage.Now add vanilla essence and cinnamon powder and mix well. Pour the mixture into prepared tray and smooth it as soon as possible.Leave it to cool for at least 2-3 hours and cut into desired shape.Store in an airtight container or arrange in a box and give it as a gift.Enjoy! lovely clicks, super recipe. tera haath mujhe phir dede thaakuraayin. Ohh yumm jagruti! This looks perfect for the festive season, a lovely gift to friends and family ! These are perfect for the festive season, easy to make also. Seriously addictive looking fudge and I am in love with the color. 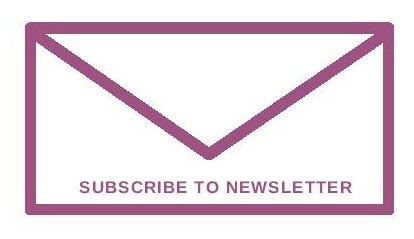 Super inviting clicks. I agree with you, its best to make eatables at home if one wants to gift them.. lovely clicks. Lovely fudge.. made so perfectly like store bought one.